Being social above all means caring about others. Now in my own modest way I want to help people that have hardly any means. I ask Friends and Followers to guide me to small charity projects along my trajectory. I then go visit and ask what they need. How I try to help. 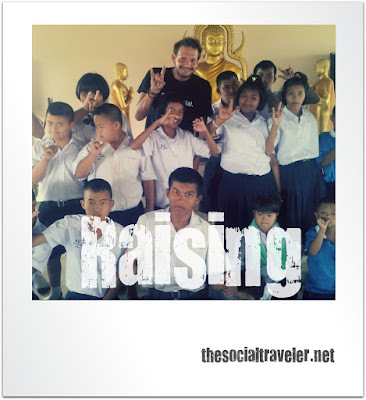 I raise money and awareness as +The Social Traveler. My pledge is that I donate 20% from the profit of my shop, from every claimed km or from work as social media consultant that I receive via this project. Set up a small (or big :-)) fundraising event with friends for one (or more) of the charities you choose. The money you collect goes via the organisation DIRECTLY to them and NOT via me. Like this things stay transparent. I ask the charities to send me information on what was done so I can share the result with the fundraisers and the community. Help me raise or go explore the charities that I support.